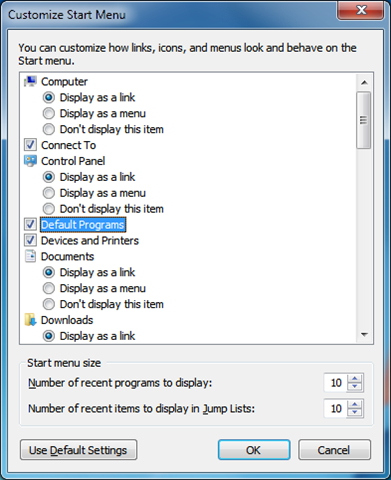 This weeks group policy setting of the week is about the “Remove Default Programs link from the Start menu” option that can be found under User Configuration > Policies > Administrative Templates > Start Menu and Taskbar. 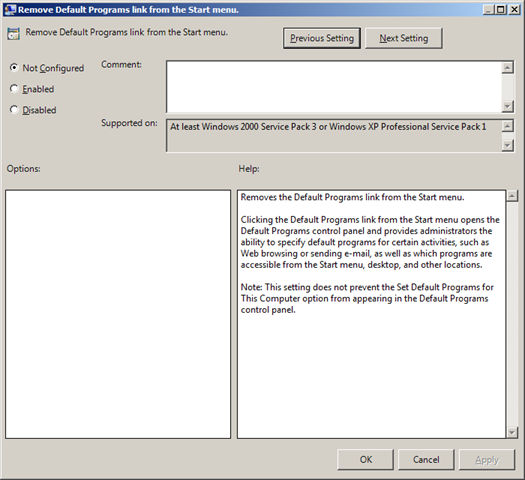 The start menu entry “Default Programs” was was introduced as part of the United States v. Microsoft Antitrust settlement case back in the late 90’s so that users would have an easy way to re-configure their default programs. At the same time Microsoft also added this group policy setting so organisations could still remove this option from the start menu if they wanted. 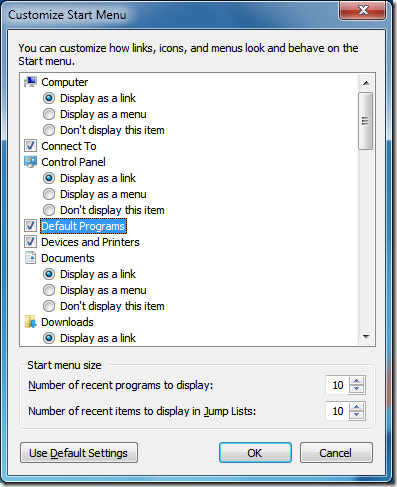 While this option is very usefully for the home and SOHO users, in a corporate environment where the computers are tightly controlled you really don’t want users messing with these setting. This is defiantly one you should consider disabling in you workstation SOE if for no other reason then to reduce the clutter in the start menu.